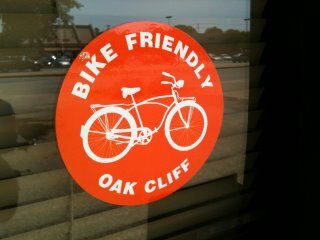 Updated: Local Discounts for Bicyclists! BFOC is proud to have partnered with several local businesses to offer discounts for anyone who rides a bicycle to the merchants listed below. This discount program has been recently updated and expanded. The list of merchants is permanently on the right side of our homepage. If you see the sticker above on a merchants window, they’re an official discount merchant. If you are a business owner or a customer and would like to offer or help secure discounts for cyclists, please contact Heather Lytle at hmlytle@gmail.com. Thanks for your support! 10% off purchase, excluding sale items. 10% off purchase, excluding pet food. WE need your help to make Aiken,South Carolina Bike Friendly…. Any materials you might have that I could take to our City Administrators..?? Diane, we’re happy you asked! 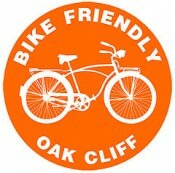 Being Bike Friendly simply starts with a small group of like minded people, a logo, & a web presence. We’re an open source group so feel free to use any idea from our site. Take our logo and make it your own and start a group ride. Make sure you publish it to blackmail yourself into doing it! We started with our popular Lee Harvey Oswald history tour ride. History rides bring out non bicycle types thus expanding the numbers you’ll get showing up. I’d suggest local history, maybe Civil War? Or whatever you think others might seem interested in. We don’t print anything as the costs are too high, with exception to 11 x 17 posters we ask local businesses to put in their storefront windows to help promote our events. Also, find a good graphic arts to donate time to create custom event posters. Awareness simply starts with action. Email me if you have questions jrbraddick@gmail.com. Jonathan.